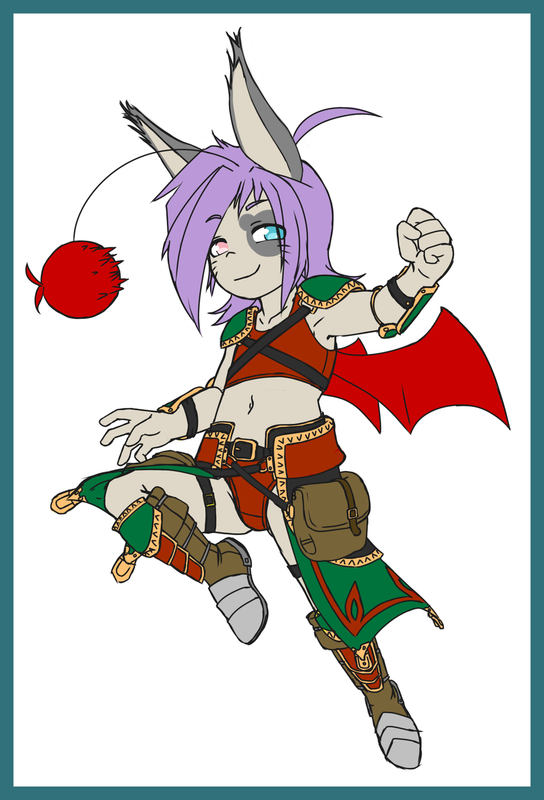 for making me want to have my own moogle. Her main class is Dragoon, but also practices Samurai. She came out looking awesome Ether. She looks like she'd be a blast to go adventuring with, would just need to be sure not to piss her off. Dragoon/Samurai combo = Powerhouse of pain.